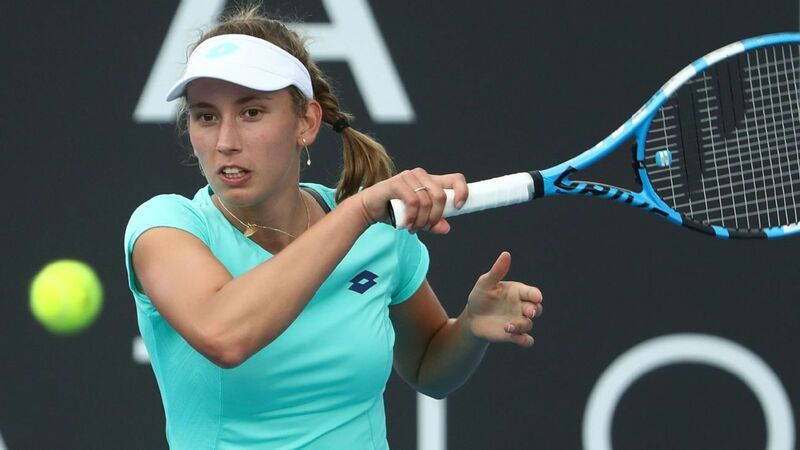 For today we propose our tennis prediction: Mona Barthel vs Elise Mertens at WTA – SINGLES: Lugano (Switzerland), clay. Mertens had defeated Barthel when they met for the first time, exactly a year ago at Biel (last year’s location of this tournament), 6-2 6-4. The Belgian, who has posted more consistent results than Barthel over the past few months, is the favorite in this quarterfinal. Elise Mertens defeated the defending champion Vondrousova in the second round match (two hours and 30 minutes) which was full of twists and turns. While the Czech hit 21 more winners than Mertens, she also committed 49 unforced errors, and 13 double-faults. Both players continued to play despite heavy rain commenced towards the end of the match. After failing to serve out the match on the first try, Mertens would have had to serve to stay in it, had she not broken Vondrousova from 5-5 40-0 in the decider. Mertens, the only seed remaining in the draw, had not won consecutive matches since January, when she won Hobart (as a defending champion) and reached the semifinals of the Australian Open (first Belgian to make Melbourne semis since Clijsters). Mona Barthel edge past Donna Vekic (6-3 4-6 6-4) in a match which was interrupted by rain multiple times. The match was on serve until the business end of the decider (4-4) when Barthel converted one of three break points she received in the game. Barthel started her clay season with a win over #29 Kuznetsova in the first round (this match was also on serve until the very end), her best win-by-ranking since defeating #28 Konjuh at Eastbourne last year. This is Barthel’s second quarterfinal of the year, the first one came at Budapest (reached the semifinal, def. #62 Kozlova and #35 Babos). Despite these two runs, Barthel is yet to bring her season W/L into positive territory, currently at 7/8. While the German won her fourth title at Prague (def. Kr. Pliskova) and reached the round of 16 of Rome, Mertens also reached the final of Istanbul and reached the semifinal of Bastad in the clay season of 2017.